Young entrepreneurs offer inspiration, drive, a fresh perspective to marketing, and an innate understanding of emerging technologies. With the help of experienced mentors, young entrepreneurs can pursue their dreams at a much younger age than traditionally expected, achieve college admissions success, and learn the skills and technologies of the future. Shaun Roberts is the Manager of Entrepreneurship and Innovation for Avid Alexander. During her time with us, she has learned to develop websites, learned search engine optimization, provided us with strategic advice, and been a great help to the company. 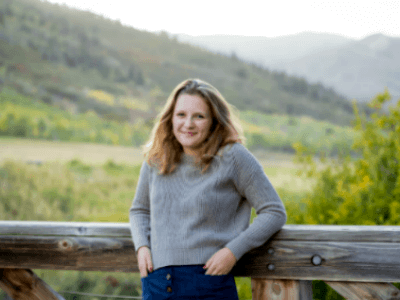 Her primary roles with Avid Alexander are to manage the Young Entrepreneurs Consulting, be the Young Entrepreneur in Residence for the Park City Center for Advanced Professional Studies, and spur innovative solutions. Shaun Roberts is a Senior at Park City High School. She is the President of the Future Business Leaders of America, a National Honor Society Representative, President of the National Charity League, a swim instructor and lifeguard, a Swaner Nature Preserve Volunteer, and President of the Park City Conservation Council. She is a problem solver, driven, detail-oriented, and a big picture thinker. ReSecure is a mechanism to securely capture images and record videos of the world around us allowing us to stay safe, present, and engaged, while making sure people are not wrongfully accused, capturing exciting moments, and securing our devices. This could entail attaching a recording device to anywhere that is a good location to image capture or video record (i.e. shirt, pants, bag, wall, etc.). The attachments could be done by utilizing hook and loop Velcro® components. Heidy Onofre is a senior at Park City High School. 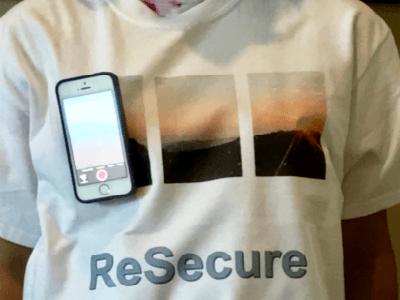 Through the Avid Alexander Create Your Project Internship, Heidy saw a need to protect people from being wrongfully accused and within five sessions of working with Avid Alexander, turned her idea into reality and created her first prototype of ReSecure in t-shirt form. Avid Alexander provides high school and college students with the opportunity to gain hands-on work experience and develop marketable skills for the future by working with our team of mentors. Avid Alexander provides a curriculum and learning experience for students that includes learning new skills and technologies, working on client projects, building and growing businesses, creating marketing strategies and tactics, attending meetings and events, and all around learning what it takes to become an entrepreneur so when you have that right idea, you are ready. Students will meet with our team of entrepreneurs throughout the internship to make sure they get wide exposure and broad experience. Avid Alexander works together with high school and college students to bring out their interests and ideas and transform them into an actionable reality. We believe that everyone has great ideas that are just waiting to be discovered and we use a unique formula, process, and mentality to help develop projects and products that will excite and benefit. We believe that how you live and spend your time is instrumental to having a fulfilling successful life and want to help the younger generation develop their passions and prepare for college admissions, job success, and life happiness. With the help of experienced mentors, young entrepreneurs can pursue their dreams at a much younger age than traditionally expected. Working under David Bieber and Avid Alexander has taught me much more about business in the last few months than I have ever learned in my life. The first-hand experience that I’ve had the opportunity to receive is incredible and he has really shown me that I can achieve any of my entrepreneurial dreams with proper motivation and great mentorship. I’ve been more passionate about this project and confident about achieving my dreams than ever before in my life and I owe this newfound confidence to David Bieber. Working with David and Avid Alexander was really beneficial for me because it allowed me to see the potential within my project. When David and I met to discuss my project, he was very fascinated, which allowed me to have confidence in my project and really push myself to try and make it great. The internship helped me realize anything is possible when you are working with a good mentor and when you stay motivated. David Bieber has provided me with a vast array of opportunities, learning experiences, and connections. Every day, I have been exposed to new ideas, concepts, and people that helped me to grow and be more prepared for the professional environment. The website development, professional, and networking skills that I have learned from David will undoubtedly change my life forever. Working with David has been a wonderful experience and has opened many opportunities in addition to providing insight and connections for years to come. This experience has provided me with tools that will help for years to come. The program that we have provides an excellent base for any aspiring entrepreneur in addition to providing a work environment ideal for development. I have a significantly improved idea of my interests as a result of having taken on this project. As a Duke University Alumni Admissions Advisory Committee Interviewer for the past 10 years, what is most intriguing and engaging to me about students is what they do outside of school and how passionate they are about those activities and projects. The more passion and entrepreneurial activities students are involved in, the more confident and engaging they are during our interview sessions and the more likely they are to have college admissions and career success. Gain hands-on work experience and develop marketable skills for the future by working with our innovative and experienced staff, business partners, and mentors. The curriculum and learning experience includes learning new skills and technologies, working on client projects, creating marketing strategies and tactics, and all around learning what it takes to become an entrepreneur. Identify interests and ideas and transform them into an actionable reality. Everyone has great ideas that are just waiting to be discovered and we will use our unique formula, process, and mentality to help you develop a project that will excite and benefit. With the help of experienced mentors, young entrepreneurs can pursue their dreams at a much younger age than traditionally expected. To Sign Up for the Young Entrepreneurs Consulting, please complete the form. Through the Young Entrepreneurs Consulting you will get the opportunity to bring your ideas to life, collaborate with like-minded students, consult and join start-up companies, learn new skills and technologies, mentor students, try products and devices before they hit the market, receive commissions for innovative new products, represent companies at events and be an entrepreneur.